Scott Steinmann, a former manager of the Clinton LumberKings and the Wisconsin Timber Rattlers, will serve in that same capacity for the Beloit Snappers in 2017, the Oakland Athletics announced Tuesday. It will be Steinmann’s first season in the A’s organization after spending the past 17 years coaching Seattle Mariners farm teams. 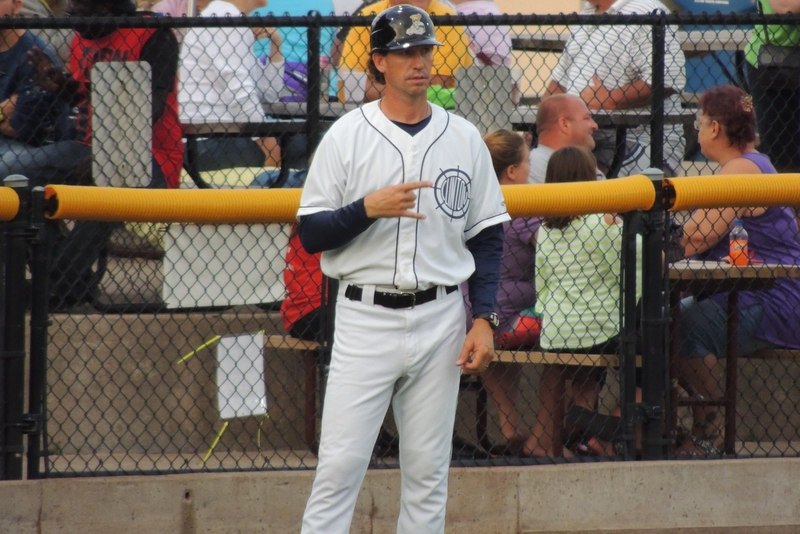 Four of his nine seasons as a manager were with Midwest League affiliates of the Mariners (Timber Rattlers in 2005 and LumberKings in 2009, 2014 and 2015). Steinmann also played in the Midwest League, for the Timber Rattlers in 1997. He batted .213 with 20 RBI in 72 games. He primarily played first base and catcher, but in one game he played all nine positions. Snappers hitting coach Juan Dilone also will return for his second season in Beloit. He played six seasons in the A’s farm system before starting his coaching career. Fran Riordan, manager of the Snappers in 2015 and 2016, will serve as skipper of Oakland’s Double-A team, the Midland RockHounds, next season. Ryan Christenson, manager of the Snappers in 2013, managed Midland this year and will take the helm of Oakland’s Triple-A team, the Nashville Sounds, for the 2017 season. This entry was posted in Beloit Snappers, Clinton LumberKings, Kane County Cougars, Midland RockHounds, Midwest League, Nashville Sounds, Pacific Coast League, Quad Cities River Bandits, Texas League, Wisconsin Timber Rattlers. Bookmark the permalink.